If you’re looking for work, a new house, things to do or local news in West Lothian then s1 has a website to help you find what you’re looking for. As a region cut in half by the M8 motorway, West Lothian is well connected to the capital city of Edinburgh and Scotland’s biggest city, Glasgow. Livingston is the area’s biggest town, is the administrative centre for the region and is also located right in the centre of West Lothian. Like many areas across the central belt of Scotland, West Lothian grew up around the mining community – mostly coal and shale oil. This created a lot of wealth and jobs but had mostly disappeared by the mid 20th century. After this the area had a number of high tech companies that grew up around the new town of Livingston like Motorola and NEC. Again, defeated by the pressures of low cost production from the Far East, many of these factories closed and moved production elsewhere. West Lothian now has a high reliance on the retail sector with the Tesco distribution centre and Sky call centres being the largest employers in the area. 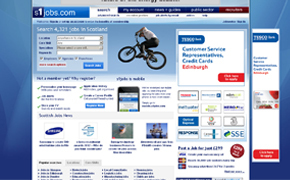 Currently there are over 100 jobs in West Lothian advertised on s1jobs. West Lothian contains some of Scotland’s most impressive castles and country houses from the past 500 years including; Linlithgow Palace, House of the Binns and Hopetoun House. However, most of the housing in the area comes from the period of mass development of the mining industry and the building of towns like Blackburn. Many towns like this contain a large percentage of high quality local authority housing. After 1966 Livingston grew up as one of Scotland’s five new towns and is now the seventh most populated town in Scotland. Over the last 12 months the average selling price of properties in West Lothian has risen from £135,396 to £138,952 and the average asking price has fallen from £148,877 to £145,561. This has resulted in a reality gap of nearly £7,000 or 5% of the selling price. 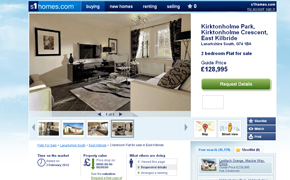 Currently on s1homes there are over 900 houses for sale in West Lothian and over 200 flats for sale in West Lothian. The rental market is also buoyant with over 100 flats to rent in West Lothian on s1rental. West Lothian as a wide range of attractions to keep everyone from students to families entertained. West Lothian is home to the one of Scotland’s finest stately homes, Hopetoun House. With all year round events, farm shop and the tours of the house itself, there’s plenty to keep you occupied. Just along the River Forth, and still used as a family home, the House of the Binns was built in 1612 and is open for tours by the public. The ruins of Linlithgow Palace give the public a view on what royal life was like back in the 15th and 16th centuries. The Five Sisters Zoo in West Calder: Opened in 2005, the Five Sisters Zoo is home to over 100 species of animals from around the world and has lots of activities to keep adults and children entertained. The Linlithgow Canal Centre is open during the summer months and gives visitors an opportunity to learn more about the canal network and enjoy a cruise on some of the local routes. Intersected by the M8 motorway, West Lothian is well connected to both Glasgow and Edinburgh road meaning that business and the public are well placed for moving around the country. Connected to both the M9 and M90, West Lothian enjoys fast access to Stirling, Perth and the whole of the North East. There are also three main rail line running through the region connecting to Glasgow, Edinburgh and Stirling. These connect to Linlithgow, Livingston North and Livingston South as well as smaller local stations.